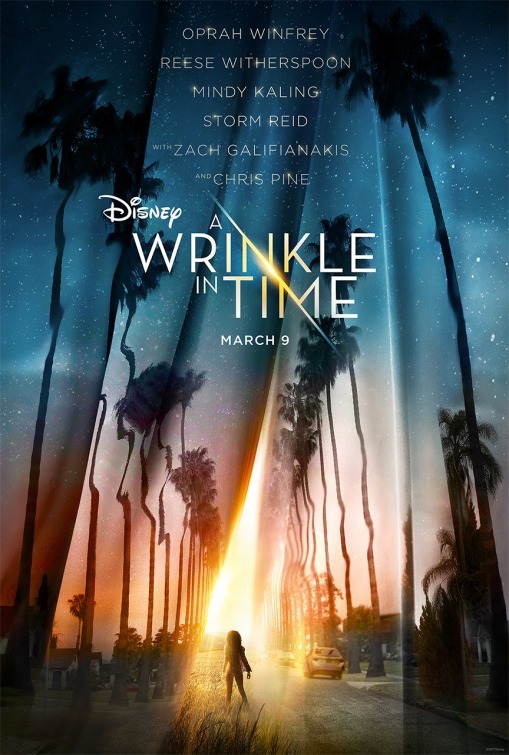 In 2018's Disney live-action adaptation of Madeleine L'Engle's 1962 novel, A Wrinkle in Time, Storm Reid's 'Meg Murray' travels across the universe with her younger brother and new school friend with the help of three astral beings, Mindy Kaling's 'Mrs. 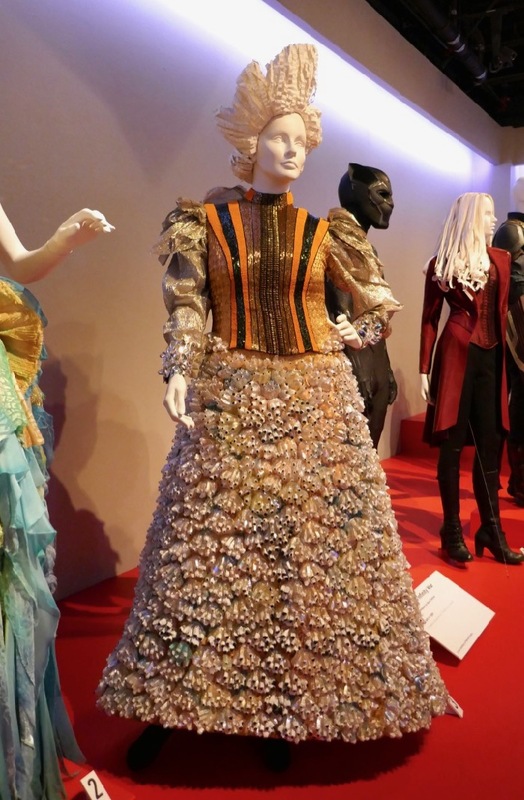 Who', Reese Witherspoon's 'Mrs. 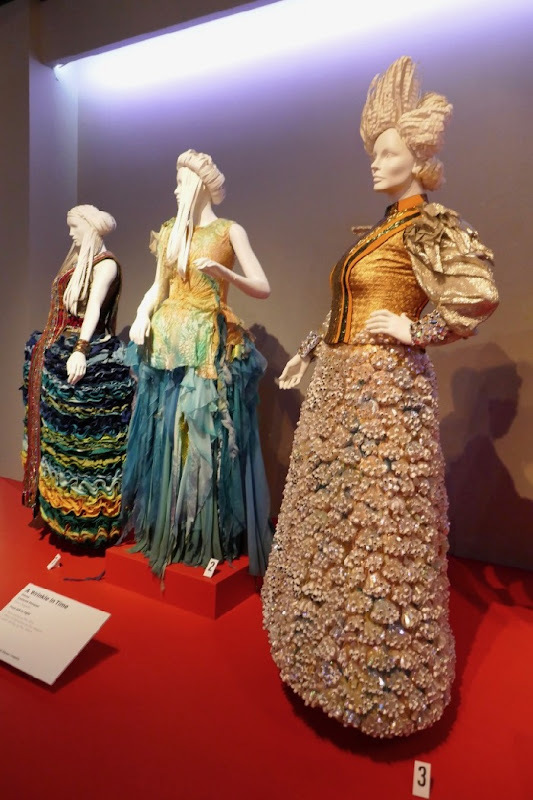 Whatsit' and Oprah Winfrey's 'Mrs. Which', in order to rescue her missing scientist father. 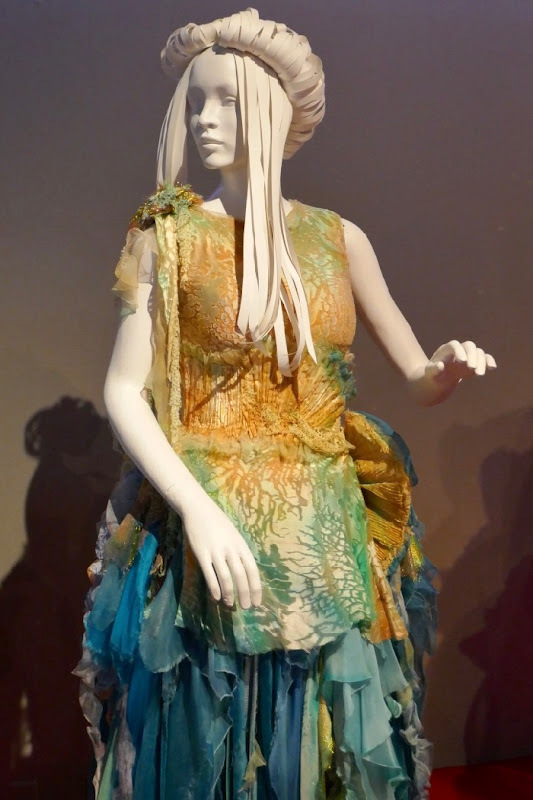 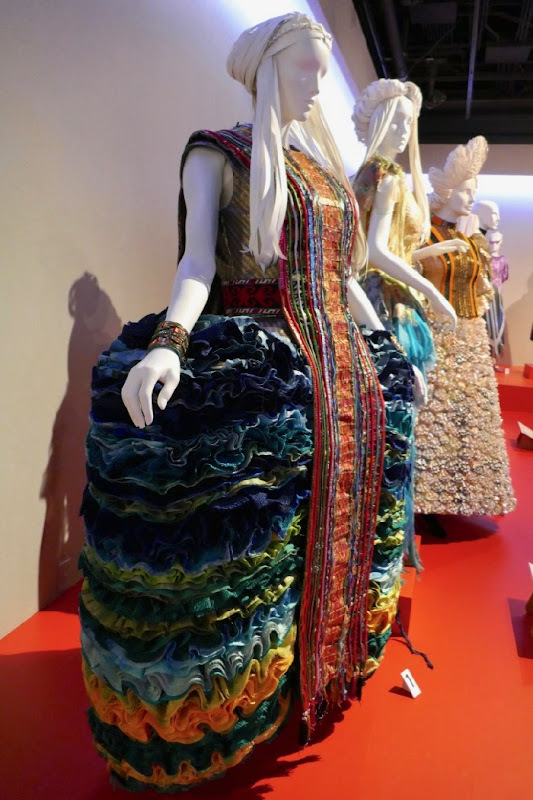 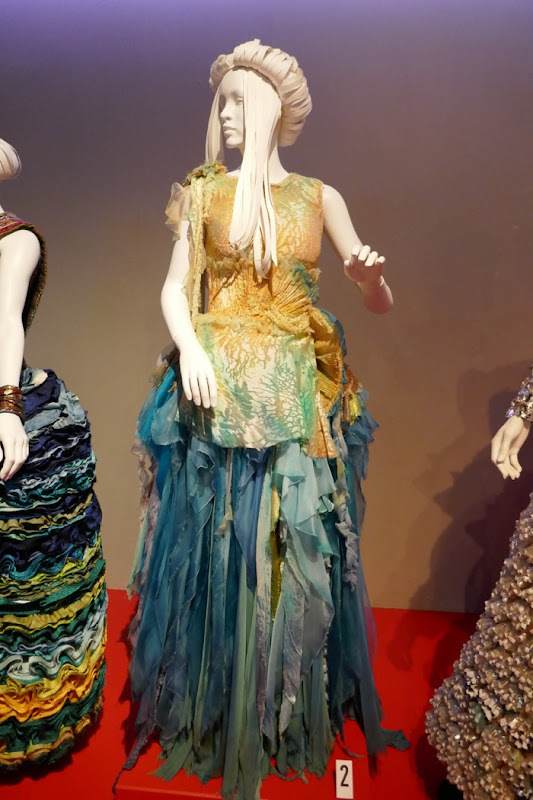 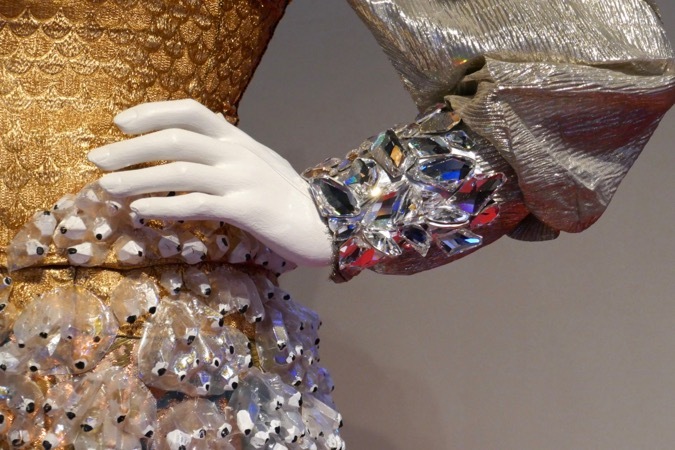 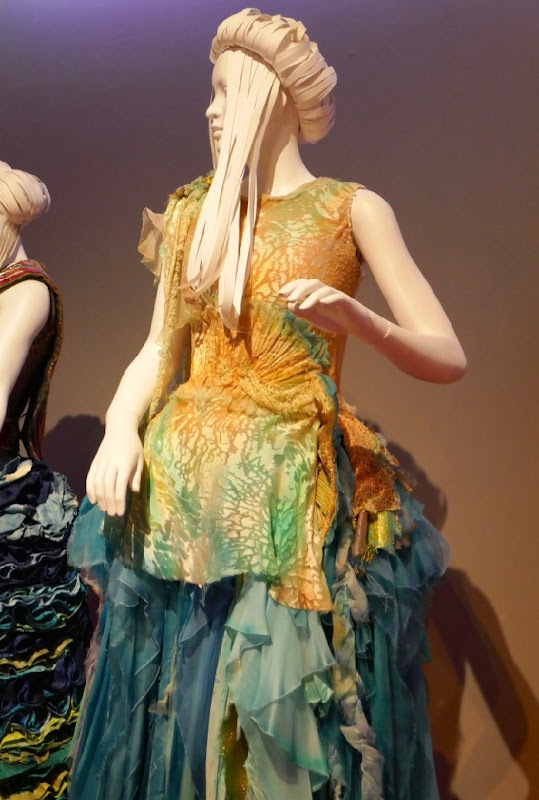 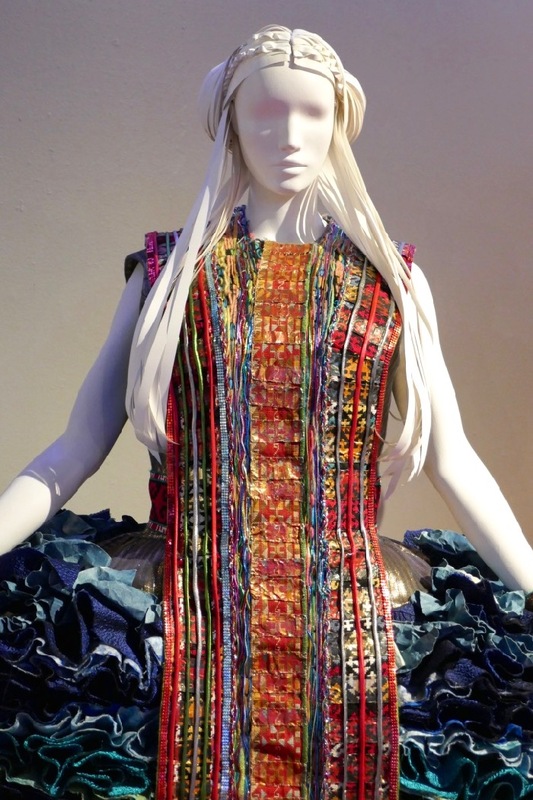 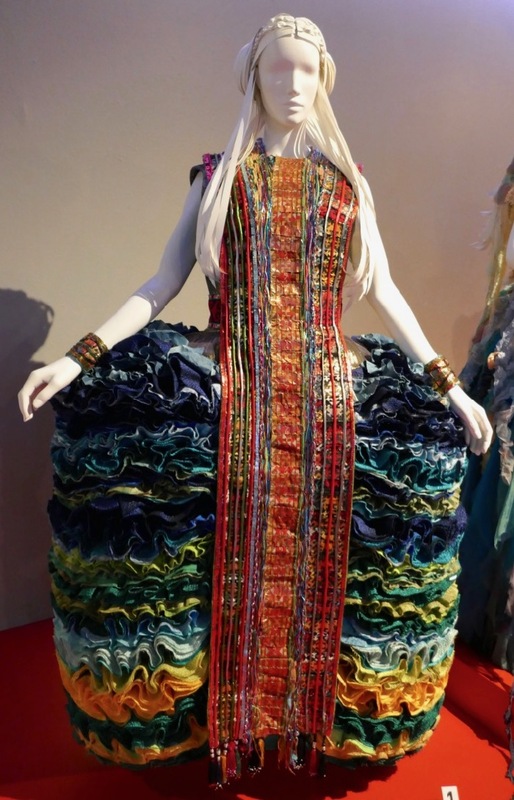 These colourful, out-of-this-world costumes were photographed on display at Downtown L.A.'s FIDM Museum on February 5, 2019, part of the 27th Art of Motion Picture Costume Design exhibition. 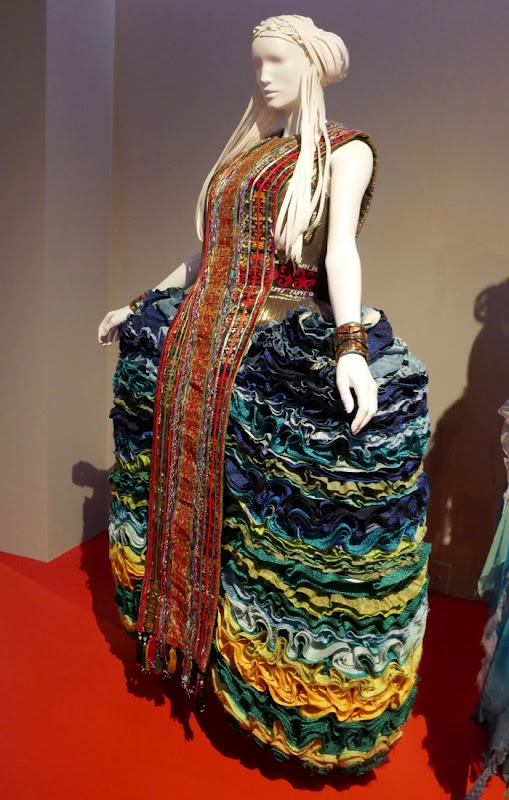 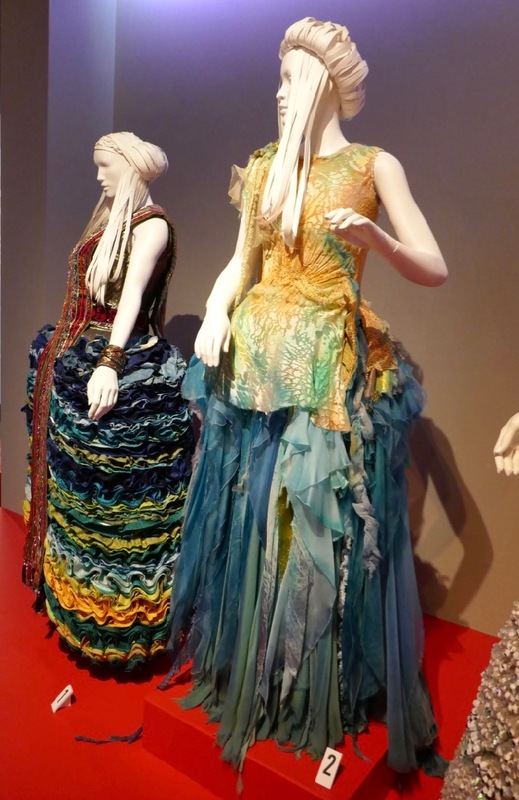 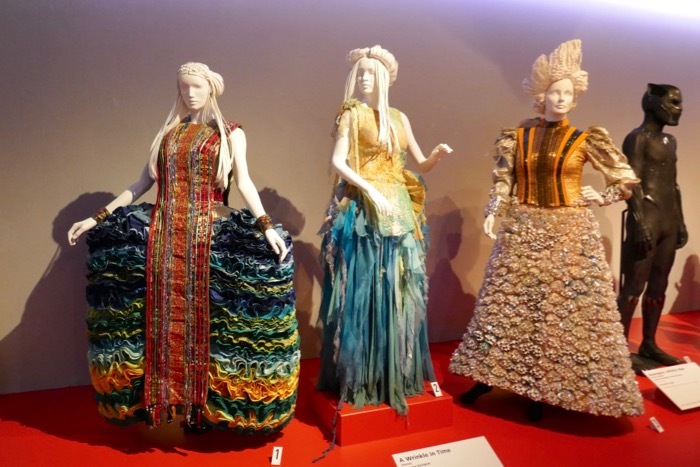 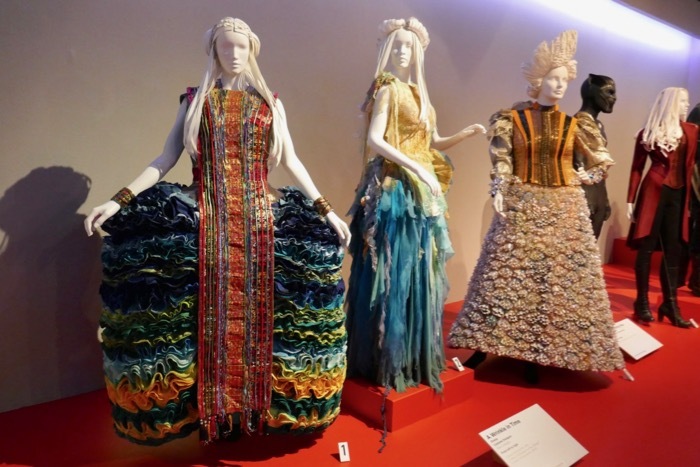 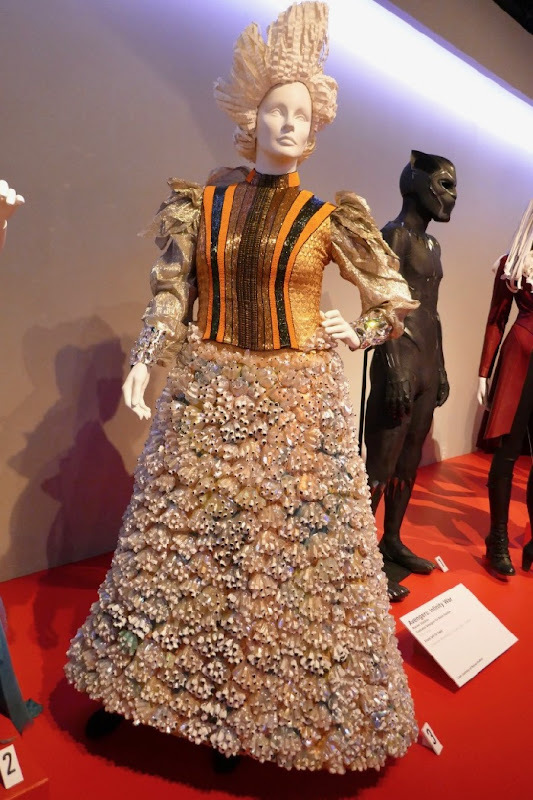 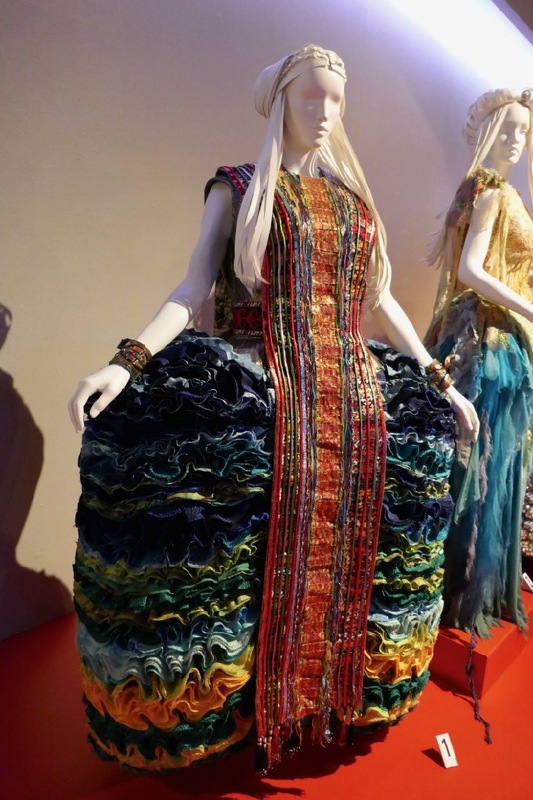 Paco Delgado was Costume Designer on Ava DuVernay's feature film and you can see more of his elaborate costume designs from A Wrinkle in Time that were on display at Hollywood's El Capitan Theatre when the movie was released. 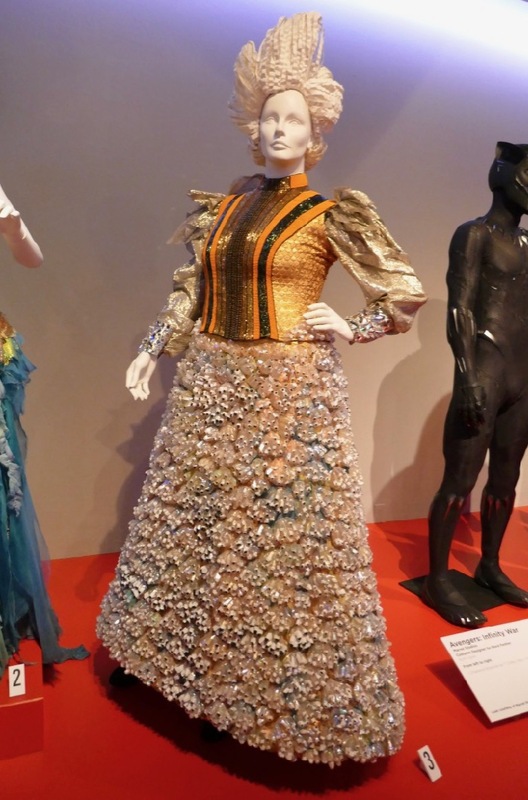 Mindy Kaling plays Mrs. Who speaks in cryptic quotes from anything that's ever been written, books, songs and scripts, to express herself and wears this outfit running with flowers on the beautiful planet Uriel. 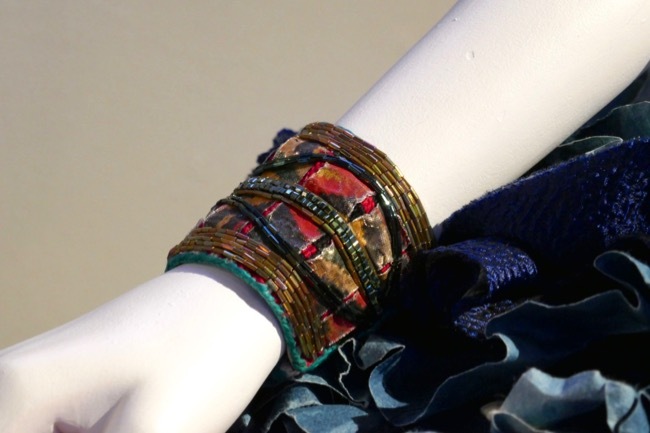 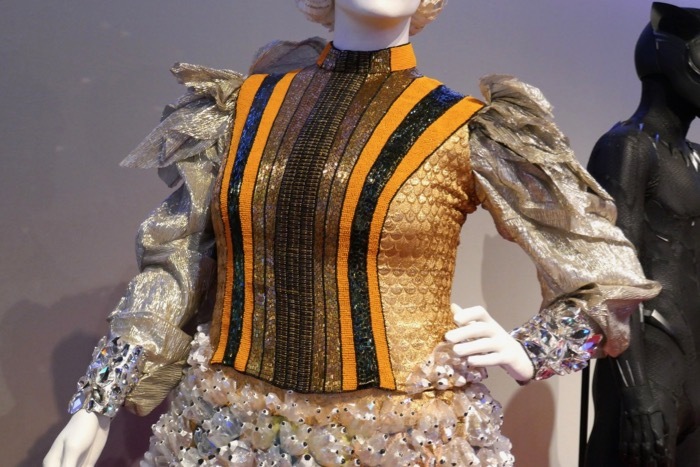 Fans of the actress can also check out her TV costumes from The Mindy Project on display. 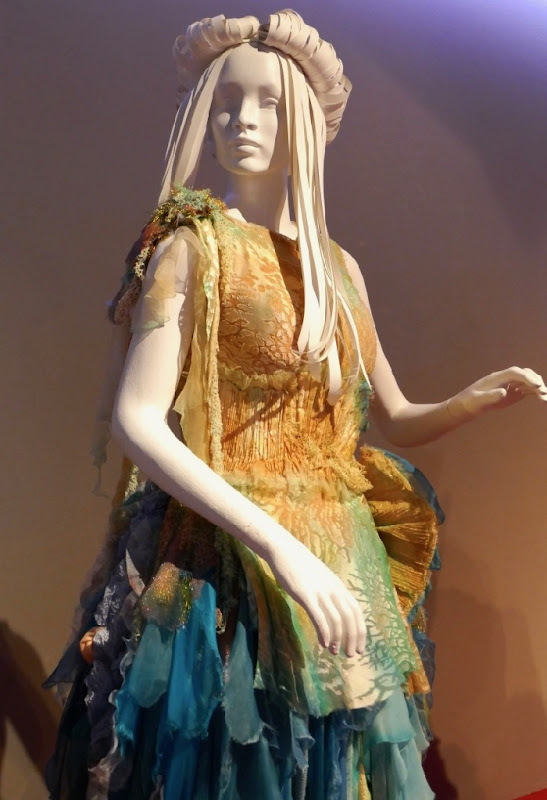 Reese Witherspoon is the ultra-friendly, chatty Mrs. Whatsit and also sports this look on the planet Uriel with red hair before transforming into a fantastical flying creature to transport the children. 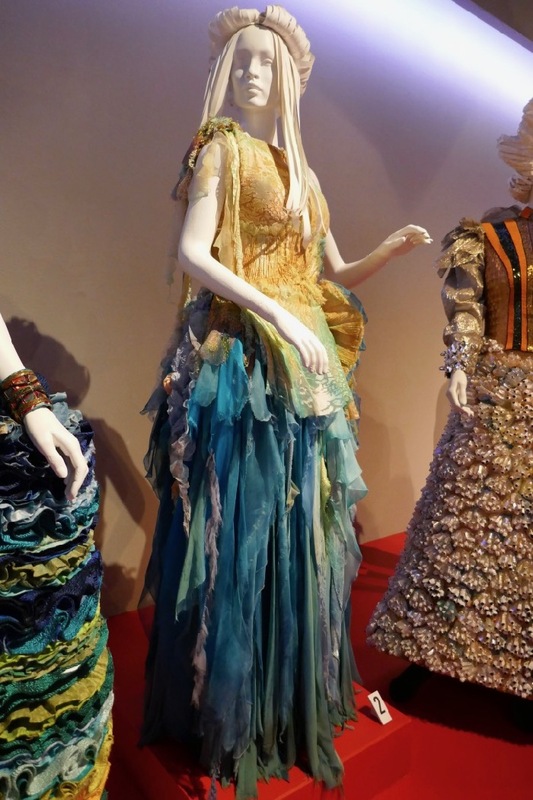 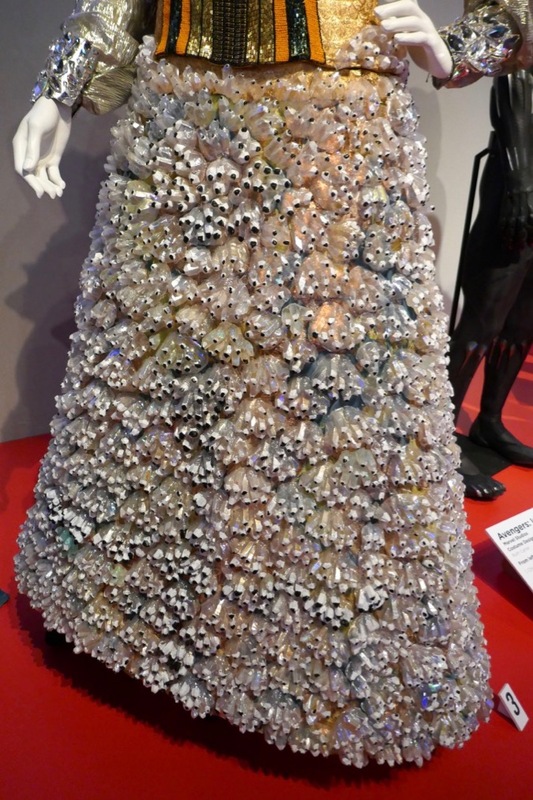 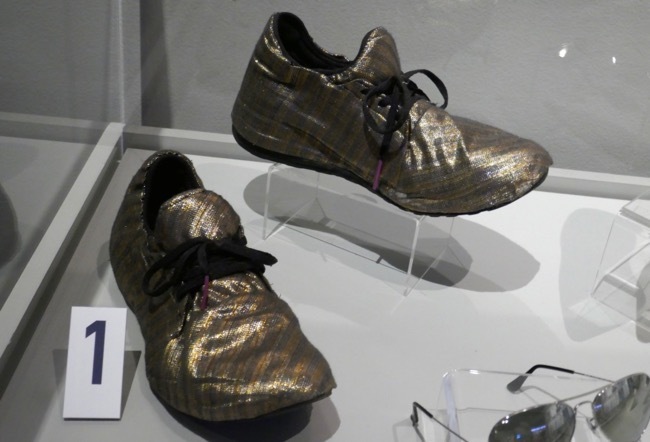 Fans of Reese Witherspoon can also take a closer look at her film costume from Water for Elephants and one of her Big Little Lies costumes on display. 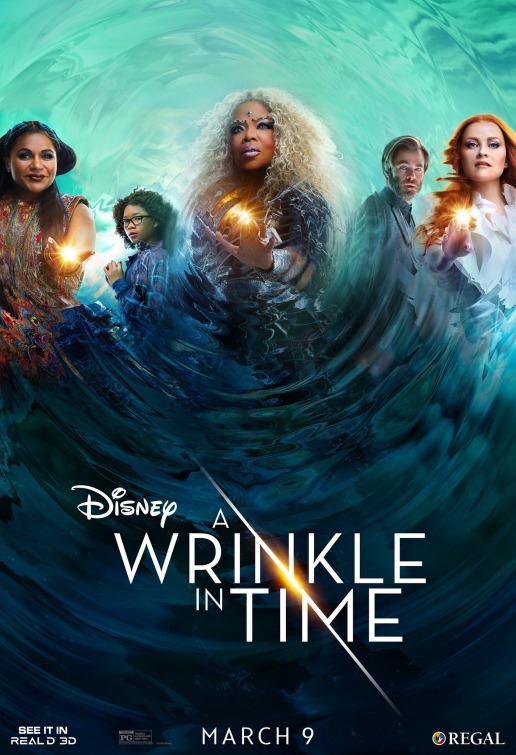 Oprah Winfrey plays the enigmatic cosmic traveller through time and space, 'Mrs. Which', who sometimes appears giant-sized in the movie and this is her Uriel costume. 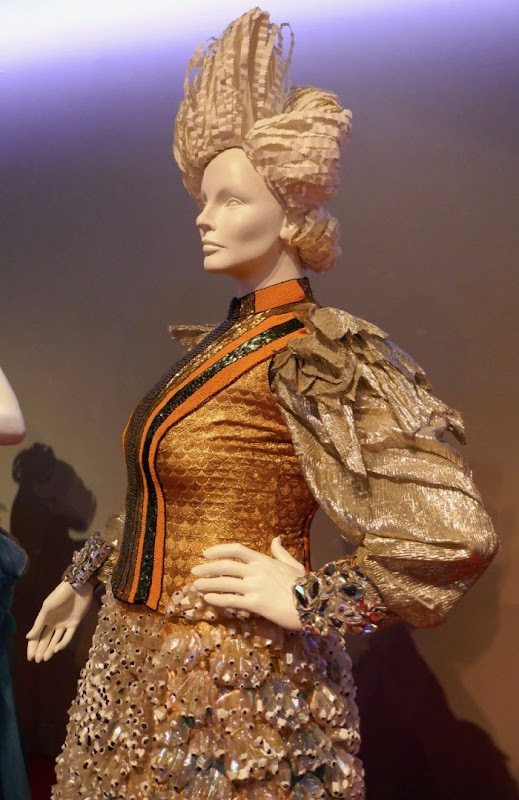 Fans of Oprah can also check out her Selma movie costume on display (also directed by Ava DuVernay).